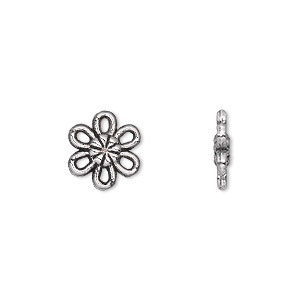 Link, sterling silver, 9mm flower. Sold per pkg of 4. 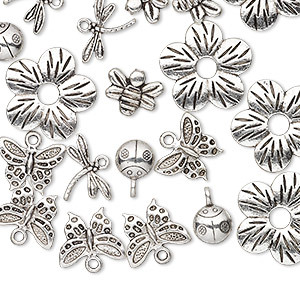 Delicate and intricately detailed stamped links are a lightweight and elegant addition to jewelry designs. 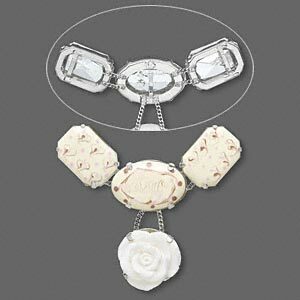 Hand-stamped into a flower shape using a metal press with a specially designed mold to create precision-cut, one-sided links. 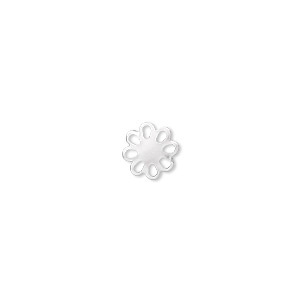 Component, antique silver-plated "pewter" (zinc-based alloy), 13x13mm single-sided flower. Sold per pkg of 50. 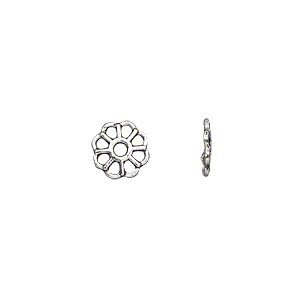 Component, antique silver-plated "pewter" (zinc-based alloy), 11x11mm double-sided flower with 6 open petals. Sold per pkg of 50. 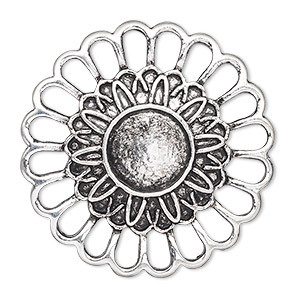 Component, antique silver-plated "pewter" (zinc-based alloy), 38mm single-sided flower with 12mm round setting. Sold per pkg of 2. 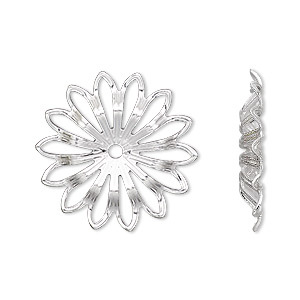 Component, silver-plated brass, 23mm filigree flower. Sold per pkg of 24. 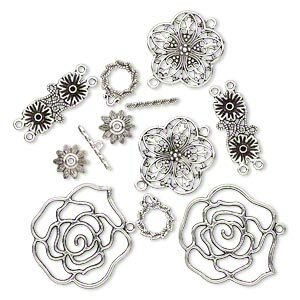 Component, antique silver-plated "pewter" (zinc-based alloy), 14x7mm-42x39mm assorted flower. Sold per pkg of 10. 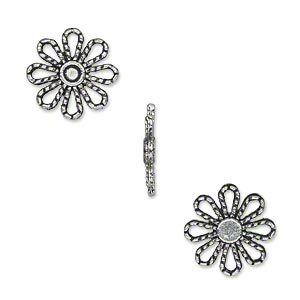 Component, antique silver-plated "pewter" (zinc-based alloy), 8x8mm double-sided flower. Sold per pkg of 100. 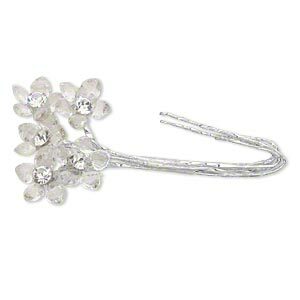 Wire pick, Victoria Lynn, steel/glass/acrylic Czech rhinestone, clear, 4 inches with 16x16mm flower. Sold per pkg of 5. Focal, acrylic / resin / silver-finished brass, white, 81x52mm hand-painted with flower. Sold individually. 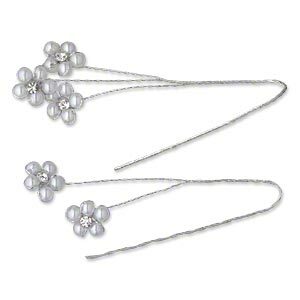 Wire pick, Victoria Lynn, steel / glass rhinestone / plastic, white and clear, 6 inches with 12x12mm flower. Sold per pkg of 2.